These layers of the old lake bottom can be seen today as layers of fine-grained tuffaceous shale, volcanic ash hardened into sedimentary rock. The layers of shale split apart like pages in a book revealing fossils and information about the ancient lake and its surrounding vegetation. Within these layers, the insects and fish that drifted to the lake bottom, and the leaves and twigs that floated downstream or blew into the lake can now be seen as fossils. By the time the Stonerose fossils were laid down, the great age of the dinosaurs was long past. The giant reptiles had been extinct for fifteen million years. The Pacific Northwest was very different from the region we know today. The Cascade Mountains were not there to block the flow of warm, moist air from the Pacific, so the climate was warmer and wetter than today’s. The ancestors of our familiar temperate-forest trees intermingled with broadleaved trees, which are now native to the southeastern states and to plants that today grow only in the Far East. 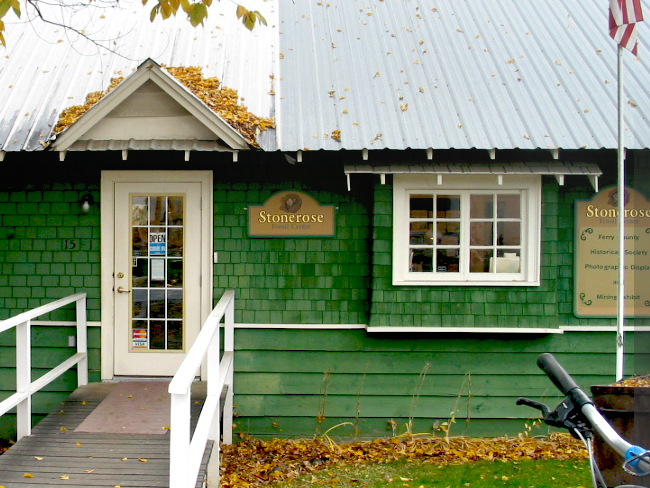 Some of the plants/animals found at Stonerose are now extinct; all we will ever see of them are fossils. The ecologically successful plants have left many descendants that are still recognizable all around us. 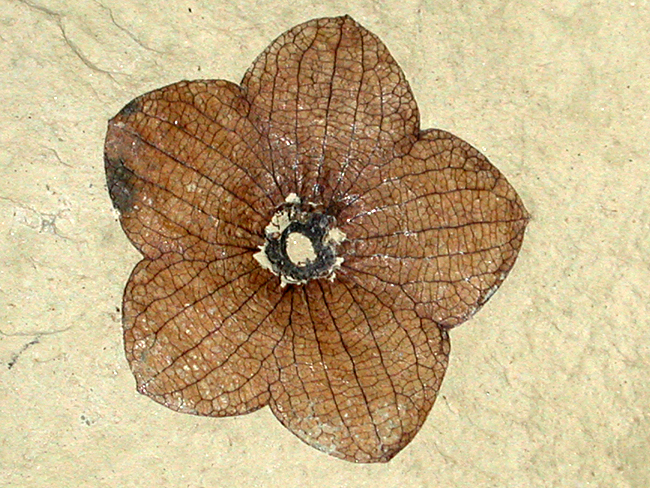 Stonerose’s famous Florissantia Quilchenensis fossil (flower from an extinct cocoa tree).